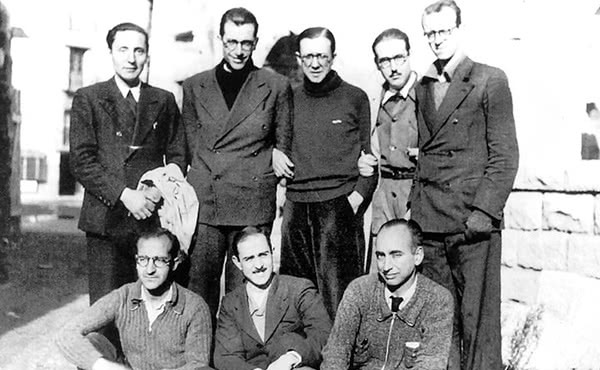 The apostolic activity in Catalonia was initiated personally by Saint Jose Maria Escrivá in 1939. The first center was opened on June 23, 1940. 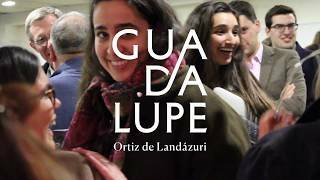 Nowadays the apostolate of Opus Dei extends throughout the territory and reaches all strata and types of people. This first center was opened in an apartment in number 62 Balmes Street, Barcelona. Gradually the message of Opus Dei spread from person to person, and in a relatively short space of time, diverse initiatives, with a discernible spirit of service and training task that wanted to respond to the real needs of society, were initiated, by the faithful of Opus Dei together with others. Opus Dei dedicated its energies exclusively to provide Cristian life for these initiatives of social interest, providing doctrinal orientation and pastoral care. The first one is the Monterols University Residence (www.monterols.es), in Barcelona, opened in 1949 which offed a place to study, training and accommodation for university students. In 1953, the Escola Esportiva Brafa (www.brafa.org) was launched first in Hostafrancs and now in Nou Barris, Barcelona. And soon after that the following initiatives were developed or plasted in the Pastoral Care of Opus Dei: The church of Santa Maria de Montalegre (www.montalegre.org ) (Barcelona, Ciutat Vella), IESE Business School (www.iese.edu ) (Barcelona, Les Corts), Pineda School for girls (www.pineda.es), Xaloc School for boys (www.xaloc.org ) (L'Hospitalet de Llobregat), Bell-lloc del Pla School (www.bell-lloc.org ) (Girona), Viaró (www.viaro.es/ca ) (Sant Cugat del Vallès), Universitary Residence Bonaigua (Barcelona, Les Corts) or Ciurana Youth Club (Tarragona). Among the more recent activities are Braval (www.braval.org) and Terral (www.terral.org) (Barcelona, Ciutat Vella). These two NGO Initiatives of Solidarity and Promotion were developed to respond to the great challenge posed by immigration. This activity is based on volunteer work which promotes social cohesion, halt on marginalization and facilitate the assimilation of immigrants into our society. Program beneficiaries, mainly boys and girls from the Raval neighborhood, come from more than twenty countries. The founder of Opus Dei explained these project / initiatives in the following words: "Student residences, Conference Centers, the University of Navarra, training centers for skilled and unskilled workers, technical institutes, schools, secretarial colleges, home management schools, etc. These centers are undoubtedly sources which project the Christian view of life. Managed by laymen, directed as professional activities by lay citizens who are the same as their colleagues at work, and open to people of all classes and conditions, these centers have made many sectors of society appreciate the need of offering a Christian solution to the problems which arise in the exercise of their profession or job." 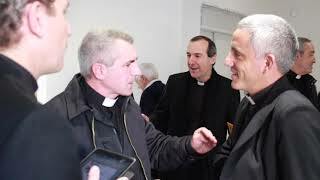 The longing of Saint Jose Maria and the faithful of Opus Dei to disseminate the Christian message within society would also be materialized through the construction of a Marian sanctuary very close to the hermitage of Torreciudad (Huesca) (www.torreciudad.org). It was the Saints intention that this temple be dedicated to the Virgin Mary to help bring people closer to the Virgin Mary and be an encounter with God the Father. The temple has a beautiful altarpiece by the Catalan artist Joan Mayné.